Expect a different level of plumbing experience with a qualified plumber in Dana Point, CA. Contact us if you do not know what to do with a plumbing leak in your home. Be it a request for a plumbing repair job or a scheduled maintenance, our Dana Point plumber guarantees to be there in 60 minutes. Call us the very first moment you suspect that something is wrong with the pipes. We invest a lot of money not only on giving our technicians further training to hone their craft further, but in the most modern equipment related to their trade. The last thing we want to do is to go into your home and start destroying walls to get to the pipes. Our skilled plumbers at OC Plumbing Pros will not disappoint you. Call us 24/7 at (949) 371-8413. Easy Hot Water Heater Installation and Repairs by a Dana Point Plumbing Company: When any part of the plumbing system breaks down, homeowners can only groan in exasperation. That’s because repairs cost money. So, while you may want to entertain the idea of getting a new heater, call us first, and let us see if it is still practical to repair your unit or ditch it for a new one. Sometimes, all it takes is just a simple repair job. Yes, you will spend money but it will likely not cost the same amount that is in your mind right now. Drain Cleaning Services To Unblock Clogs: Homeowners tend to overlook the importance of clean drains, until water backflows, refuses to go down the drain, or if at all, is slow to do so. But then again, that’s nothing new as homeowners are typically not proactive when it comes to any part of their plumbing system. But take comfort in knowing that we have the latest equipment, including a state-of-the-art camera that captures the image through the drain, enabling us to effectively and safely remove the clog, whatever and wherever it is. We do have the cameras to snake down the drain and pinpoint where the problem lies. Precise Spotting Of A Leak and Repairing It: Not all leaks, slab leaks, especially, are easy to find in your Dana Point home, but our experts know a leak when they see them, even if you do not, and we repair it too. Water leaks can lead to structural damage, the development of mold, and money loss from having to pay higher water bills. Rusty metal pipes and water pressure flow create the perfect storm for a bursting pipe. Then you really have a problem on your hands. Don’t wait for the problem to worsen, call us now and our modern detection tools will be able to pinpoint the leak even without breaking your walls or floors first. Emergency Plumber Dana Point – Call Us Now! Efficient Re-piping, Garbage Disposal Repair and Installation Services: If you have a damaged water pipe in your Dana Point property or if there is a need to relocate your pipes in order to conform to the new property plan, keep us in mind to perform what is required in compliance with safety codes. Rather, let us take a look at it and advise you if your system is repairable or not. Our licensed plumber can also fix your leaking garbage disposal, or set up a new unit in your home. Never, ever try to do this on your own. It’s a complex system of gravity, water pressure and flow. Keep in mind, the repair or the installation of a garbage disposal system requires a good amount of skills, and the right equipment, of course. Toilet Installations and Repairs: A broken toilet can be a health-hazard, too. Call us and we will have our plumbers assess the situation, and if we find your toilet broken, we will advise you to get a new unit, instead. The common sign is the noxious odor coming from a gas leak in the sewage or clogged toilet. We at OC Plumbing Pros always strive to be as less intrusive as possible. We understand your frustration when your toilet is leaking, broken, or clogged. 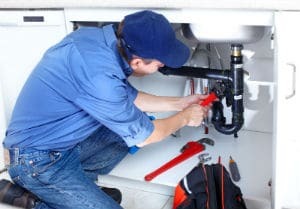 24/7 OC Plumbing Pros Emergency Services for Plumbing-Related Problems: Here at OC Plumbing Pros, we understand that plumbing emergencies can happen when you least expect them, the reason why we make ourselves available 24 hours a day. Just like in hospitals, emergency cases will be treated accordingly. Plumbing issues can affect your daily activities, and, when not fixed right away, they can have unfortunate effects not just on your property, but on your health, too. We recommend that you call us the moment you sense that there is something wrong with the way your plumbing system works, so we can take immediate action before the problem blows out of proportion – (949) 371-8413. Call Our Friendly Customer Representatives for Any Plumbing Problem: Give our Dana Point plumbers a call and you will understand why we come highly recommended in the area. Our high-quality plumbing contractors are continuously trained to keep up with the demands of the time, and they can share with you whatever knowledge they have regarding plumbing maintenance. We never tolerate mediocrity in everything we do, and especially in the way we deal with our clients. Contact us at OC Plumbing Pros now so we can get the process going. Call us today at (949) 371-8413!